Racing starts tomorrow with the Offshore Race, with the start at 1400 local time on the waterfront of downtown Trieste and a course set to do laps along the Italian and Istrian coast. Each class will have courses designed in length to keep them at sea for at least 24 hours, and for the first time in the past 17 years of ORC Worlds history the fleet will be sailing in the waters of 3 nations: Italy, Slovenia and Croatia. 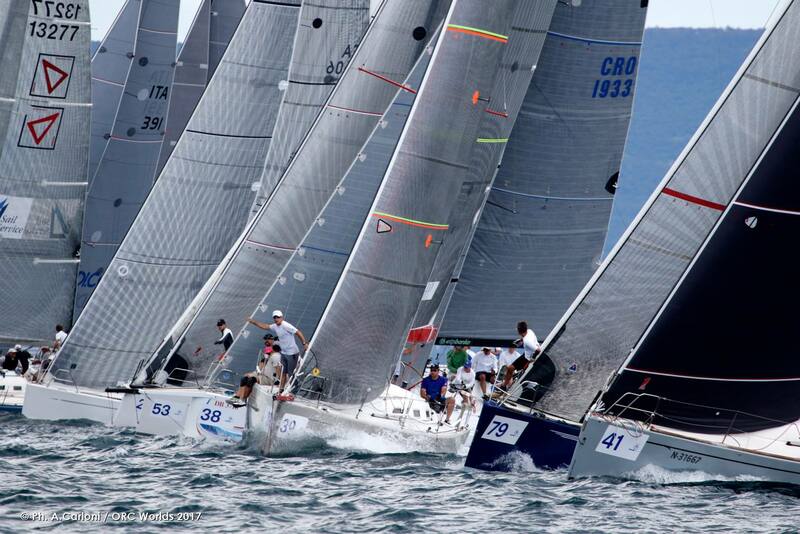 The remaining races in the championship will be windward-leeward course races held in two areas: one to the south off the Slovenian coast where Class A and Class C will compete on the same course area but in different races, and another closer to the harbor in Trieste for the teams competing in Class B. Seven races are planned, scored at 1.0 points each. This year’s event will also feature more interaction with the audience through Live Streaming hosted on the event website, and through the use of the TrakTrak system which will give a graphic depiction of the positions and movements of the boats while racing. The mood among the teams is upbeat and excited, with many months of planning, preparation, training and racing leading to this week. There is one team in particular - Bjorn Erik Bjornsen’s Aquatich 40 – that is particularly excited, since it is brand-new, just launched next door by the builder Ocean Tech next door in Slovenia. Another northern European entry – Jani Lehti’s Mercedes-AMG from Finland – is also trying out what amounts to a new boat: their Cossutti-designed Next 37 has new appendages, a new taller mast and larger sails, placing it as a fast 37-footer in Class B. And another entry more local to Trieste has also been preparing themselves for competition in this large fleet: Maurizio Poser’s Swan 42 Sheraa YCH. Skipper Enrico Zennaro, who hails from across the Gulf of Trieste in Chioggia where he won the 2016 ORC Sportboat European Championship last spring, explains their strategy for preparing their entry for the Worlds. And indication of this was apparent in the Practice Race today: under cloudy skies and in winds reaching 16 knots and shifty, Crevatin and his team on the A-C Course area today said one class was well-behaved on the start lines, but not the other. The weather forecast for tomorrow and tomorrow night looks promising for wind: a weak offshore Bora system will keep the fleet doing laps in a westerly breeze in the Gulf, and then when headed to Croatia the conditions will be mixed with the possibility of the wind shifting to the south tomorrow night to bring them back to the finish near Porto San Rocco. For more information on the ORC Worlds Trieste 2017, visit www.orcworlds2017.com.